Beer spans an endless array of colors. The deep black color and white foam of an Irish Stout, deep copper of a Pale Ale and cloudy light color of a Bavarian Wheat are all within the rainbow we call beer. 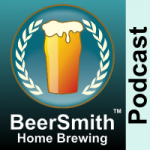 Today we’ll look at beer color, SRM, EBC, Lovibond, how its measured, color limitations, and how to estimate the color of a beer recipe.